A very rare dark-grey color changing gemstone, displays a unique optical effects under varying light. 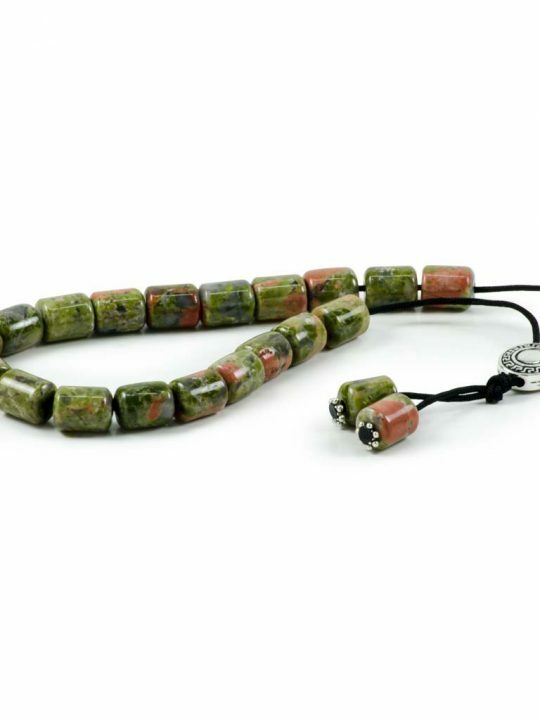 Bead Size: About 0.47×0.45″ (12x11mm)Size may vary! Handmade Komboloi of collective value. 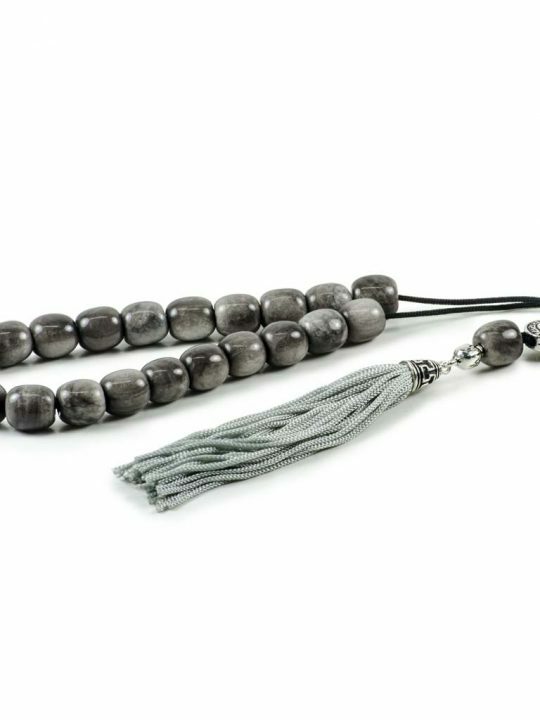 Dark Grey Obsidian Gemstone Greek Worry Beads Komboloi Meander. Folklore and legend associated with the black Obsidian gemstone date back to the late 1800’s and the military’s counter attack on the Apache people. 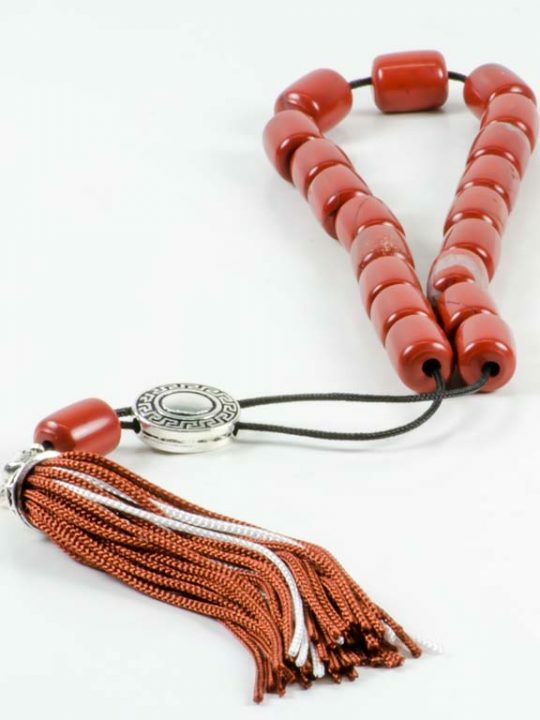 From cultural practice to fashion accessory, Greek worry beads have been increasing in popularity. 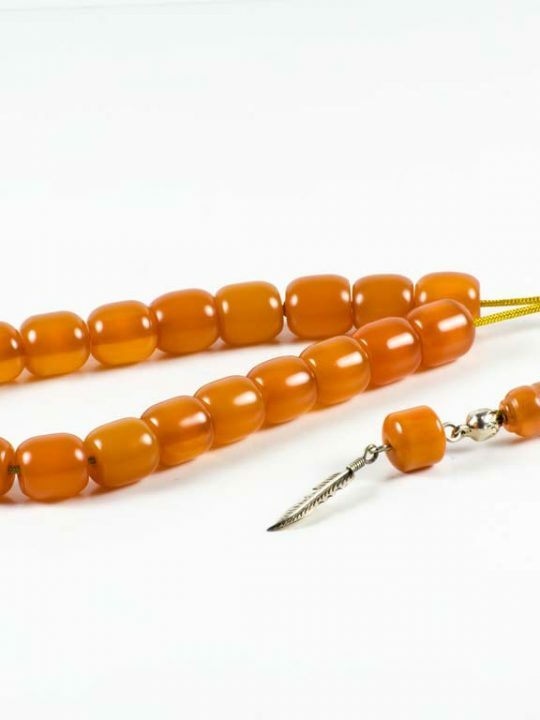 The origin of these beautiful beads is in Greek folk art. 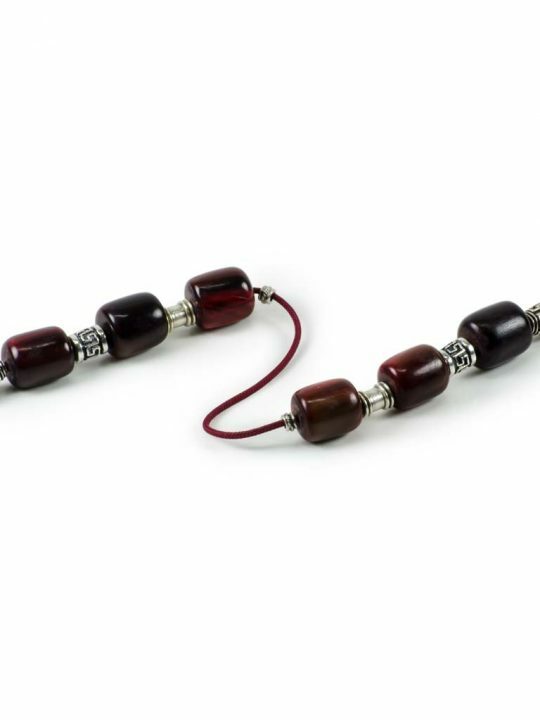 Older beads have become valued collectibles while jewelry stores sell new Greek worry beads as trendy accessories. 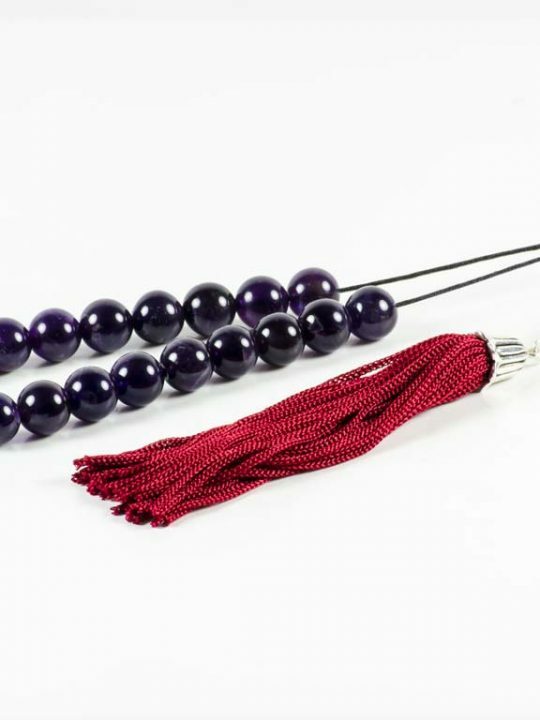 The strings of beads are not purely decorative. 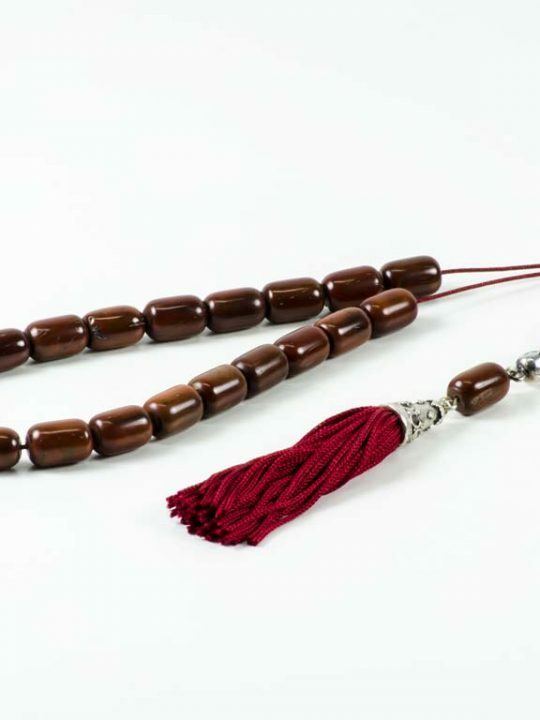 People use worry beads for fun and relaxation. 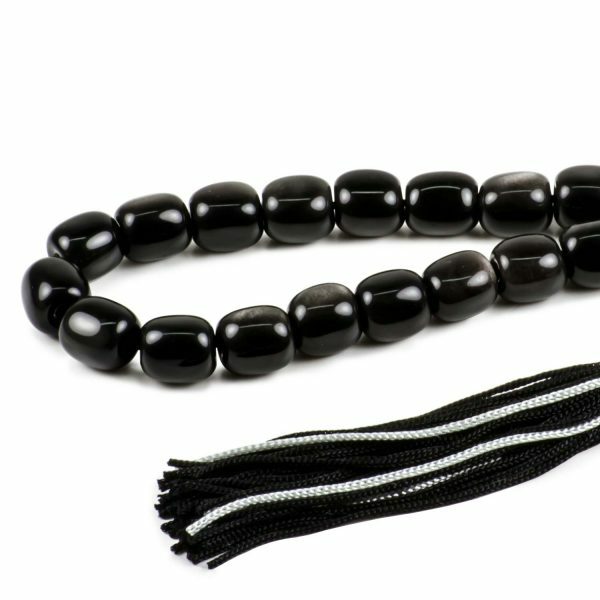 The versatility of the obsidian gemstone maintains its popularity in jewelry making for a variety of reasons. 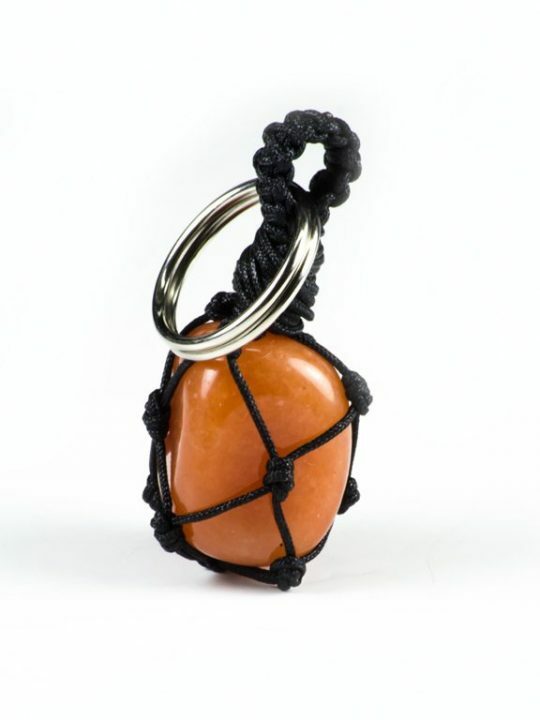 It’s a gemstone associated with protection, a resource that gives its wearer the strength to alleviate their pain through the influence of their ‘guardian spirits.’ With such a pedigree, the obsidian gemstone will continue being an asset to many who choose to wear it. 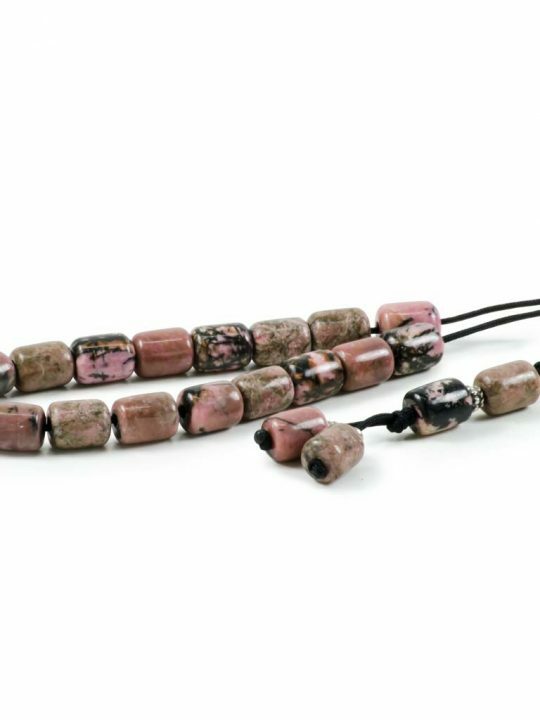 Perhaps the most prized obsidian is the rainbow obsidian gemstone, which contains bands of a purple, gold and green sheen interspersed with the black obsidian rock. There will be some color difference between the real items and the pictures because of the brightness, contrast and resolution or other factors. Thus, the color difference is inevitable to some extent. Note:After the order has been placed, your piece will ship out within 48 hours, unless it is being freshly made. Your item will be securely packaged and presented in a lovely Gift Box. Should you have any questions about this item please feel free to email us. 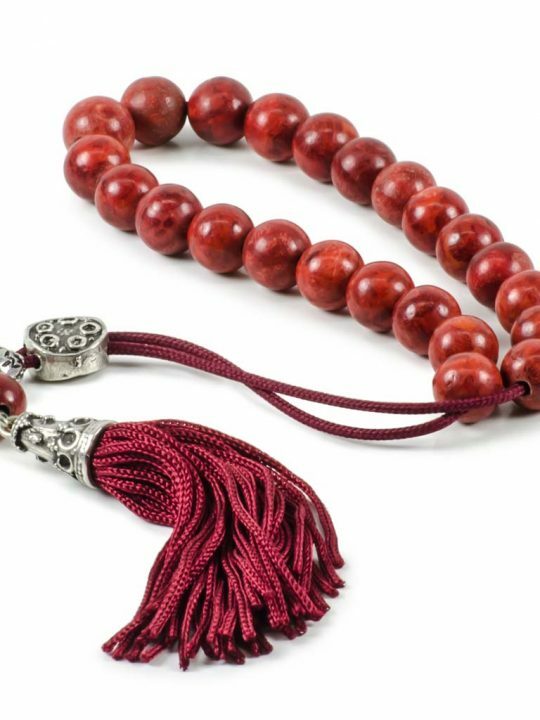 My daughter went to Greece and forgot to pick up worry beads for me so I researched them and The Bearded Garden came up among others. So glad I ordered them from The Bearded Garden. 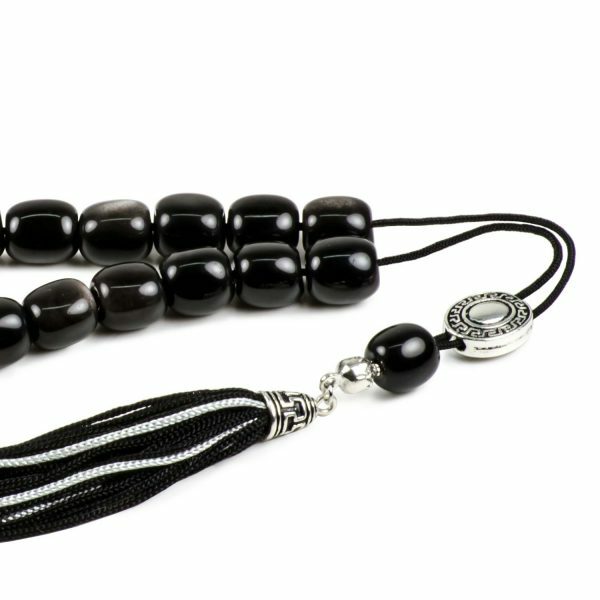 The worry beads are on high quality and beautifully made. 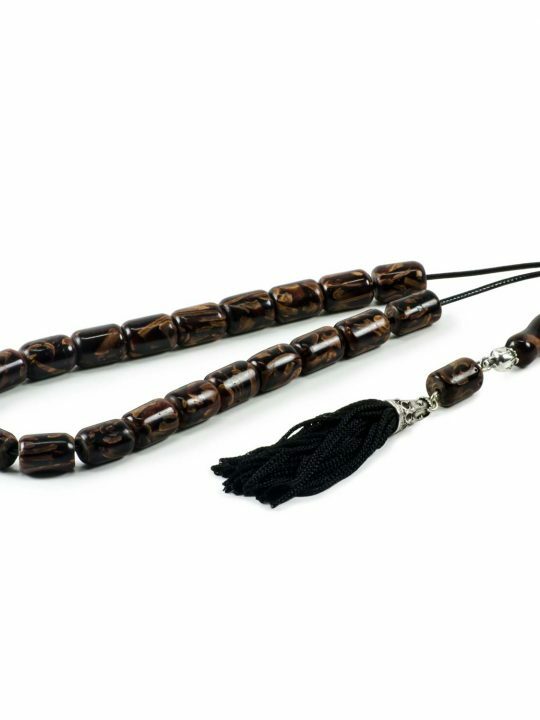 Also, wrapped beautifully including the story of the worry beads. Lastly, lucked out because they were in sale. Will I order from then again!